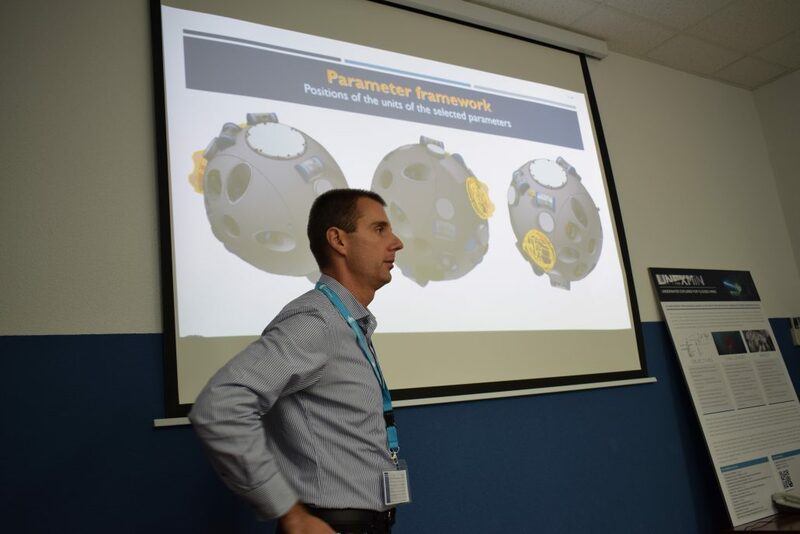 On the 25th and 26th of October, UNEXMIN partners met in Madrid at UPM’s facilities for a follow-up workshop related to developments of the UX-1 robot. 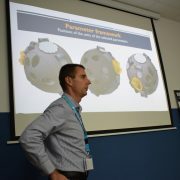 Of importance to this meeting were UNIM, TUT, UPM, INESC and RCI – the partners responsible for the robot’s hardware, software and post-processing and data analysis. A constant exchange of information between these partners is vital for the project’s development. This was particularly noted after the latest crucial decision made for UX-1, the integrated pressure hull approach. 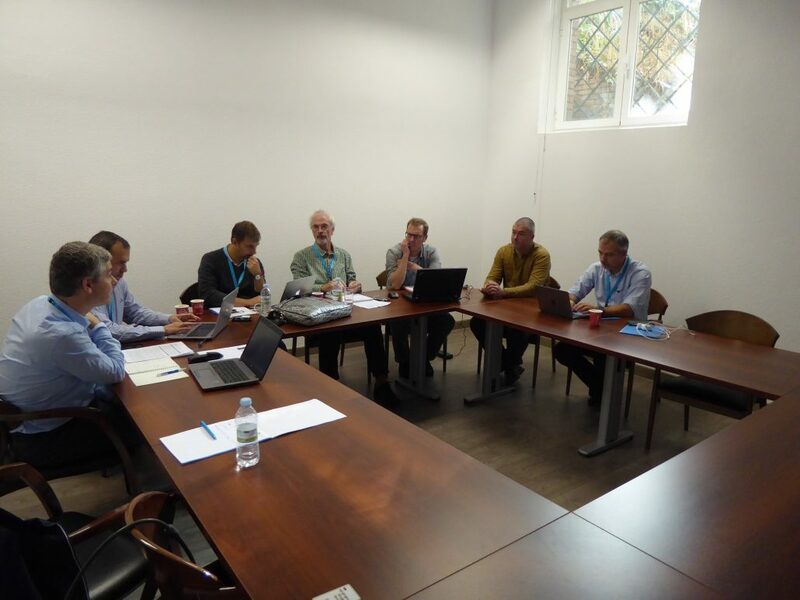 The first day of this 5th UNEXMIN meeting was dedicated to an overall review of the latest steps (including the Tampere mid-term meeting) and the status of the work packages defined in the project (especially related to the software and hardware of UX-1 and post-data processing and analysis). 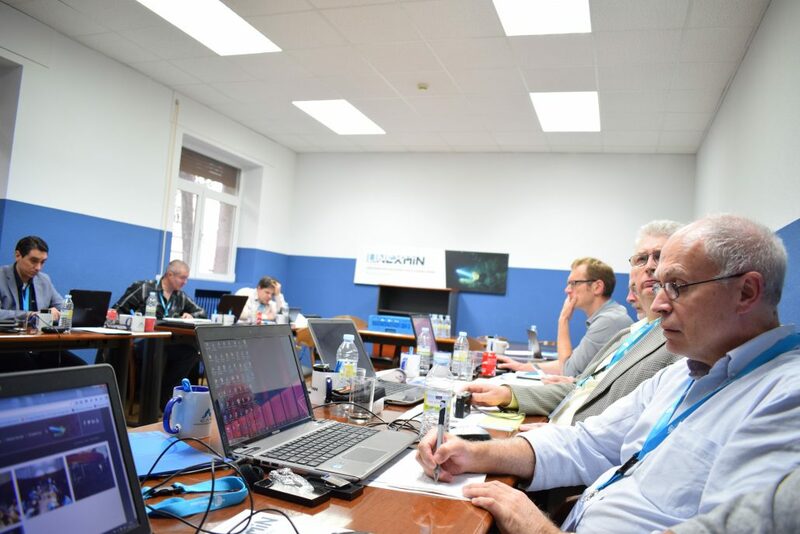 During the day, technical discussions were held which helped the consortium agree on details of future advancements of the multi-robotic platform. 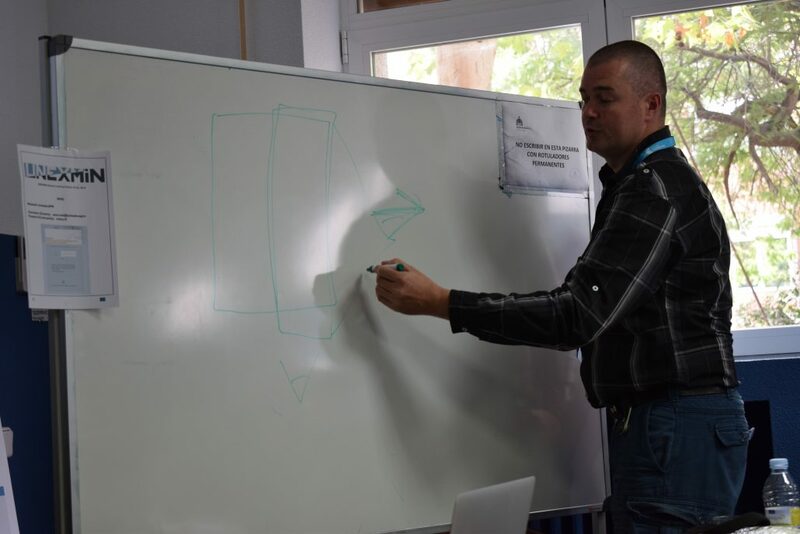 This topics covered the main points of discussion for the UX-1 most important developments at the moment. 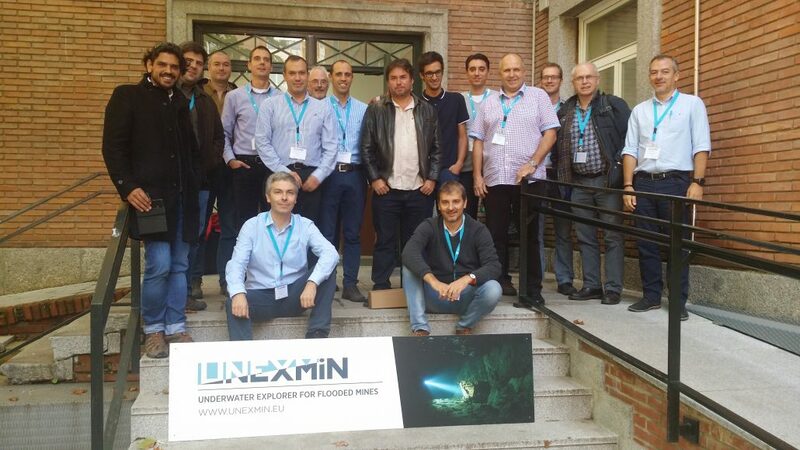 This follow-up workshop in Madrid allowed the UNEXMIN consortium to gain a greater perspective of what is being developed and the future steps that must be taken to ensure the best development for this unique and ambitious European project. The meeting was well organised – which always helps to create an environment conducive to the efficient exchange of ideas. Thank you to UPM (Universidad Politécnica de Madrid) for hosting this perfect meeting!